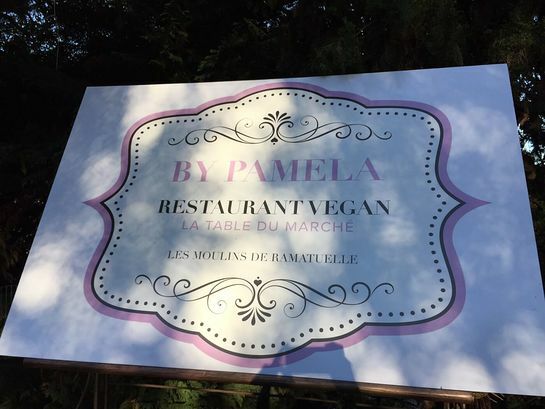 After winning hearts on and off screen for decades, Honorary PETA Director Pamela Anderson is now delighting diners with her tasty vegan pop-up restaurant, La Table du Marché by Pamela, which opened in Ramatuelle near Saint-Tropez on the French Riviera this week. Under chandelier light and the stars, guests dined on black rice risotto, with wine-marinated vine-ripened tomatoes and sautéed eggplant, crusty onion pie, fire-roasted root vegetables, and dark chocolate–drizzled regional garden fruits. The pop-up eatery will be open every evening for the summer.